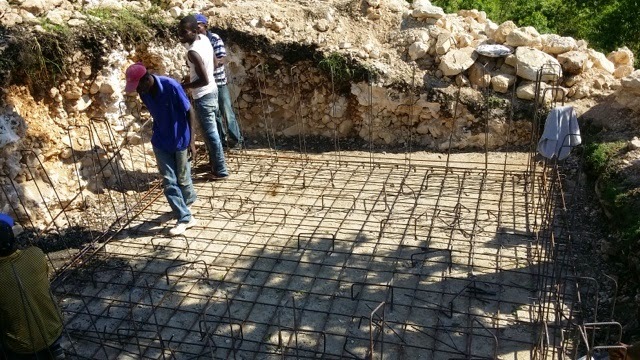 Ginny in Haiti: Water project Finished! Well...it has been for over a month now. I am so behind in blogging! 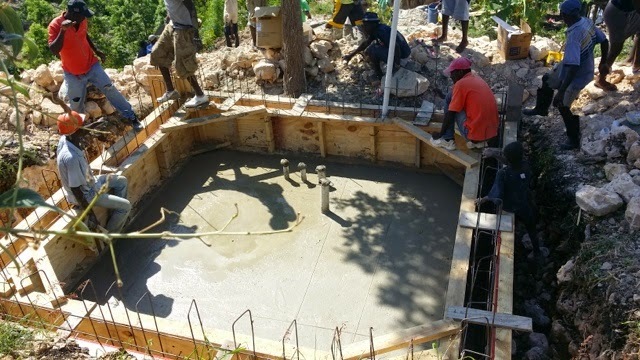 Through a partnership with Hungry for Life Canada, Invest Hope worked with the community of Peredo in providing a water system using a natural spring in the mountains. 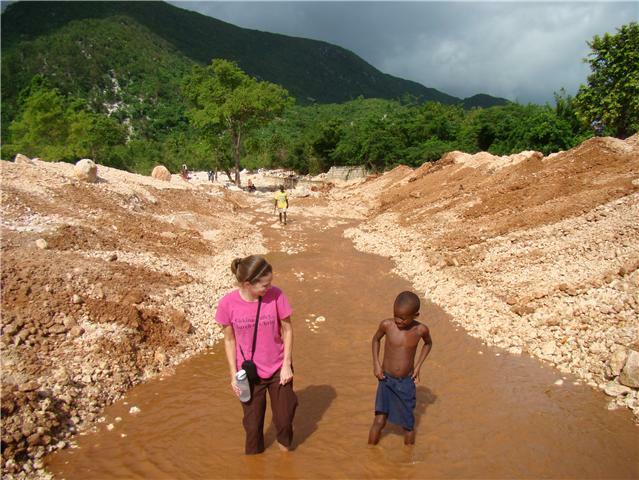 Local community leaders came to David and I years ago asking for help in accessing clean water. 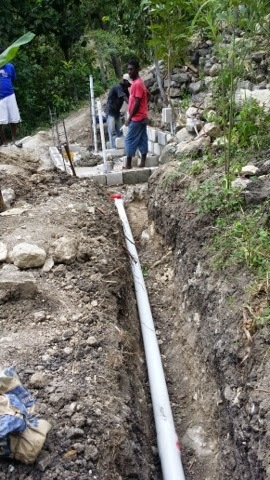 Although we had no idea how to fund the project let alone complete it, God did! 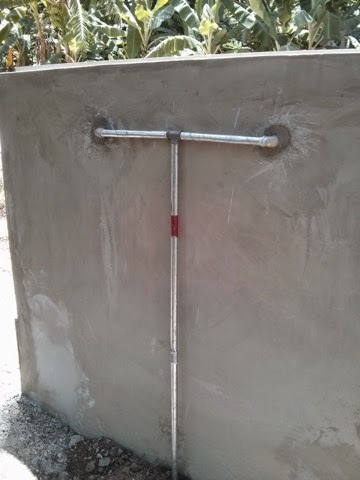 And although it took several years to find a partner, it did happen. 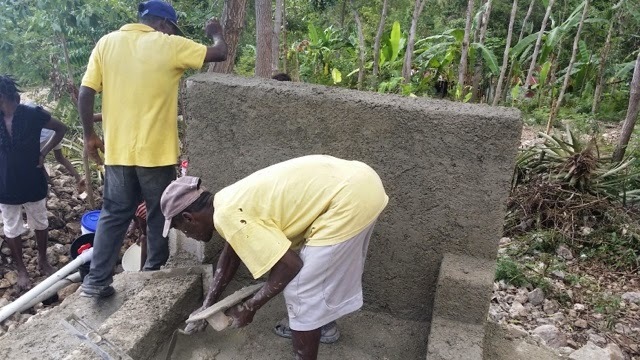 The community themselves put in A LOT of sweat equity into this project. 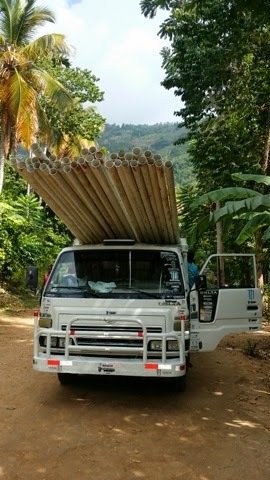 My husband, David, managed the project and transported most materials from Jacmel to Peredo (an hours drive on rough terrain). 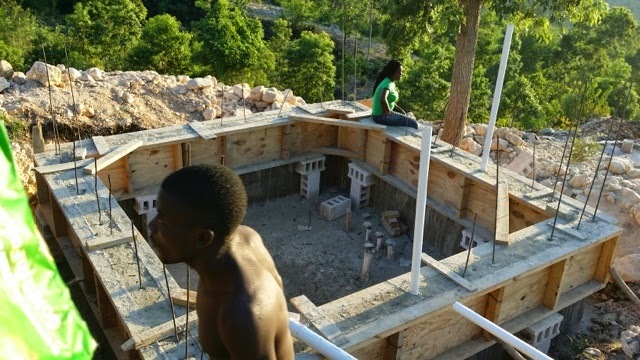 Below are some pictures of the project and the Haitians working on a project in their own community that they and their families are now directly benefiting from! 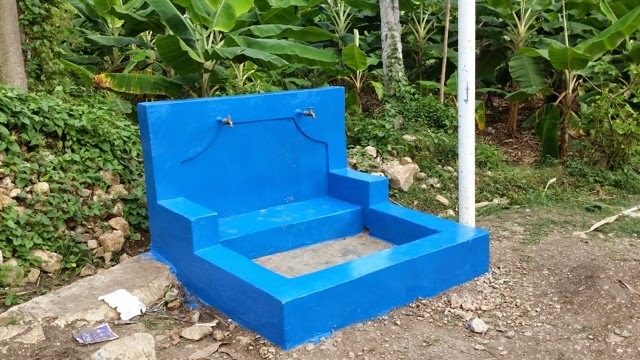 Note: there is one Cistern at the source of the spring, 3 kiosk stations where people bring buckets to fill with clean spring water, 10 direct lines into yards of families.